So... You wanna get high? No recruit = no pay. We are now at the halfway point of our disjointed epic. If you are just arriving, you have missed little. Hello there my CA friends. 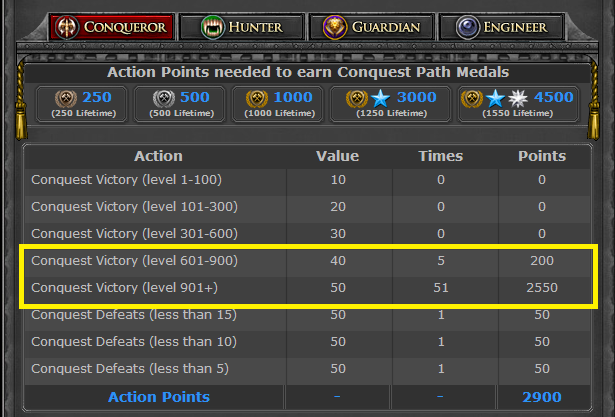 Are you doing conqueror's path but is having a hard time finding 40 and 50 pointers to hit? With as low as 2k effective attack, we can help you gain 40 and/or 50 pts. for your tokens, everyday! Join us, join our guild! Monster hunters are welcome too. If you're doing hunter path and is having a hard time to dump your stamina for a mithril or platinum medal, Then join us, you can easily dump your stamina on our monsters without so much of a competition from other members. For as low as 2k effective attack, we can help you gain 40 and/or 50 pts. for your tokens, everyday! Join us, join our guild! tks po for tagging us in LoE, don't let anybody else know we're super squishy.